Can you out detective a detective? Police Detective Lieutenant, Phillip "Dancer" Mamba takes on four cases in this anthology. Follow Phil as he ends his career on the police force and tackles the ins, outs, and dangers of private investigating. Take a shot at solving a case. The final case file is “It's Late at the Estate.” It’s presented in a ‘Who Dun It?’ style. This Mamba Mystery is in the final stages of preparation. In the late 1970s, a police officer in a city in the western United States was part of a task force against a violent criminal gang. The summary report from that task force to the police department was five pages long. The first four pages were a narrative of the task force’s actions and results. It was released to the media for their use. The fifth page was a list of task force members with annotations of their specific contributions. It remained in-house . . .
. . . at least it was supposed to remain in-house. Somehow, a copy of the fifth page found its way out of police headquarters. Several task force members and their families were targets of anonymous threats, vandalism, and drive-by shootings. At least one member of the task force was directed to leave the city and his career in law enforcement after his family home and personal vehicles were riddled with bullets. The police department could not guarantee his family’s safety. This story is based on that incident. The terrorist organization, al-Qa’ida, recruits genetic engineers to find a way to cripple/damage/slow down soldiers engaged in missions against their followers. Several ideas are tried and rejected after deaths occur to quickly or not at all. Ultimately, the scientists decide to insert the gene for the enzyme ***, that will convert lactic acid to alcohol in the bodies of soldiers who are marching over distances and creating anaerobic conditions in their muscle tissue. 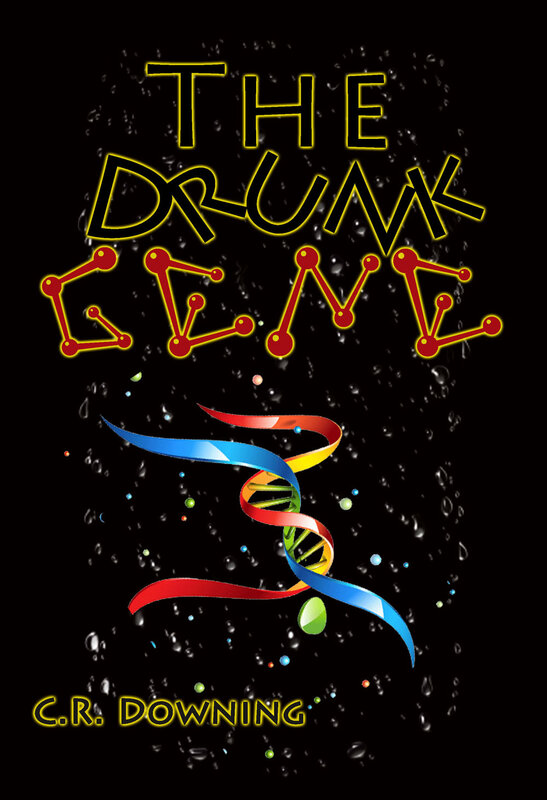 Soldiers who contain this gene become inebriated rather than getting sore muscles after hard work. American military leadership contacts the CDC. Dr. Meria Brieviance, genetic engineering specialist left the CDC because they refused to allow her to give away a vaccine for ## Fever even though it was shown 98% effective with no harmful side effects in all studies performed. She now lives on Grand Cayman Island where she conducts her research, produces, and sells her vaccines at a fraction of the cost by major drug companies, with whom she has no dealings. The CDC directs the military to her. Negotiations lead to her working with military—first on an anecdote and then on a gene blocker gene. The partnership breaks down. Dr. Brieviance takes matters into her own hands. Intrigue and fighting abound as the doctor wages her own war against ## Fever and al-Qa’ida. Aliens from the planet Synclr have searched our galaxy for over ten-thousand-years. A single objective drives their actions, locating brain waves of specific types that indicate the potential for critical, analytic thought. Synclrians’ first contact with Earth came in 900AD. The potential for critical and analytical thought was present, but remedial in form and function. The aliens left after setting up a data collection cloud around the planet—essentially an elaborate camera network to record visual and audio twenty-four hours every day all around the planet. All activity performed by sentient beings of any level was recorded. “Understood. What is our status?” The Captain asked. The question was greeted by silence. That was uncommon. Her first officer was rarely unprepared for one of her questions. The first officer tapped the side of her head where the receiving unit for their communication grid was biologically linked to her brain. “I find that odd,” the Captain said. “Our archivist reported that this is the primary method of ensuring variation in the human populations,” another member of the bridge crew of the cloaked research vessel interjected. “I believe that what you consider randomness humans consider individuality, Captain,” the first officer offered. “All DNA implants are complete. Prepare to move to high orbit and enter stasis chambers.” The announcement echoed through the ship. “Set the timer for four planetary revolutions. Then, see that we’re buttoned up tightly before you enter stasis,” the Captain ordered the first officer. The first officer nodded what acted as her head. Four years to the minute later, the crews of both the flagship and its mirror ship exited stasis. Inventory was taken. One-hundred-thousand incomplete pair and one-hundred-thousand incomplete pair two-year-old human children were interjected with alien DNA four years earlier. Ninety-seventy-thousand-two-hundred-four complete pairs, females and eighty-six-thousand-six-hundred-seven incomplete pairs, males were still alive. “None? That’s a most unscientific comment, Doctor,” the Captain said. “I’ll program our A-I bots to have a progress report ready as soon as we exit stasis,” the CMO promised. “Carry on,” the Captain ordered. Puberty is well-known and well-understood by Earthlings. What the Synclrians failed to recognize was that humans spend significant time growing and developing before reproductive hormone levels increase substantially. Synclrians reproduction and development is a modified form of cloning. When the new member of their species is released from the growth chamber, it is fully functioning at every level of Synclrian anatomy and physiology. Children selected by the aliens were two-years-old when the insertion of DNA into brain tissue occurred. Now six-years-old, puberty wasn’t even approaching their developmental radar screen. That proved to be the death knell of Synclrian intervention on Earth. Inserted DNA requires high levels of reproductive hormones to trigger the encoded actions in the hosts. The crew of both alien vessels exited stasis thirteen months later. None of the now seven and eight-year-olds’ estrogen or progesterone levels were significantly different than they were earlier. The hoped-for addition of empathic ability to half the subjects and the addition of the ability to access the cloud data storage without equipment did not manifest at an observable level. Two of the subjects selected lived in Venice Beach, California, in the United States of American. Harmony Nguyen and Daniel Gambal were removed from their beds and teleported to the alien ship. Modified Synclrian DNA was inserted in the right temporal lobe of Lorelei’s brain in hopes of enhancing humanity’s innate empathic tendencies. Danny’s left temporal brain received the alien DNA. The hope was to provide him with the ability to recall any data from the cloud storage by thinking of date and place. Two Synclrian exploratory medical space transport vessels decloaked, broke free of Earth’s gravity, and set a course for their next target. “What do I tell our planetary command?” the first officer asked her Captain. “Unsuccessful in all aspects of the protocol. Recommend deleting Earth from the database,” the Captain answered. “Ma’am?” The first officer knew that without enhanced brain waves, the cloud was useless to Earth inhabitants.